Former Barclays global head of trade and working capital Baihas Baghdadi has resurfaced in the private sector after leaving the bank in August. Baghdadi has joined steel company Network Steel Resources Group (NSRG) as CEO of its newly-created international division. He had been with Barclays for 10 years and was appointed global trade head in 2015. After his departure, he was replaced by James Binns from Deutsche Bank. 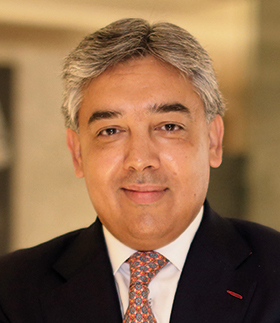 “After a decade at Barclays and 25 years in the banking industry, moving to the other side of the table is such an exciting opportunity,” Baghdadi tells GTR. The new unit under Baghdadi will be responsible for expanding the Madrid-headquartered group’s trading activities into new markets, starting with Africa and the Middle East. Baghdadi says his first step will be to build the commercial infrastructure for the group in the main hubs across these regions.